Sunderland (Mass.) 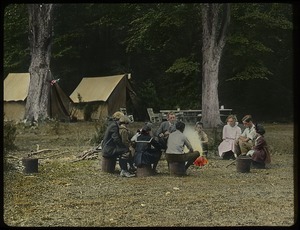 - Hand-colored image of group (including Waugh family) near the tents at a campsite. Sunderland (Mass.) 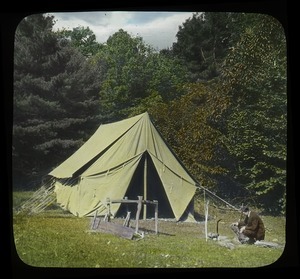 - Hand-colored image of large canvas tent and campsite.